Dorothy “Dottie” L. (Luppino) Connery, 84, of Newington, CT passed away surrounded by her family, Monday, July 9, 2018. She is the widow of Bernard J. Connery. Born in New Britain, she was the daughter to the late Vincent J. and Catherine (Arena) Luppino. 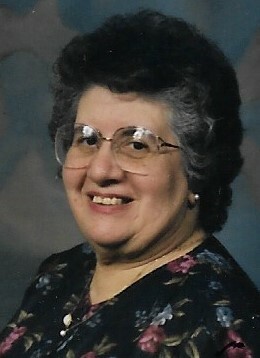 She attended local schools and graduated from New Britain Sr. High School, class of 1952. Dottie was retired from the New Britain Municipal Credit Union, where she had worked for 32 years. She was a member of the Church of Holy Spirit, Hardware City Firefighters Ladies Aux., O’Reillys Lassies, and The Whip City Drum Corp. She is survived by her three sons, James and Kris of Newington, CT, Thomas and Nancy of Newington, CT and John and Joyce Connery of Newington, CT; her daughter, Annmarie Townsend of South Ber Wick, ME; her brother Vincent K. Luppino of New Britain, CT ; her sister Mary Suess of Hartford, CT; several grandchildren, great-grandchildren, nieces, nephews and cousins. Family and friends are invited to call at the Luddy-Peterson Funeral Home, 205 S. Main St. New Britain, CT, on Saturday, July 14, 2018 from 8:30 to 10AM. The family would like to thank the Jefferson House of Newington for the care they provided Dottie. In lieu of flowers, charitable donation may be made to the Newington Volunteer Fire Dept. Co #2, 190 Richard St., Newington, CT 06111.